So after the disaster that was last week, I am back and itching for some new speculation. I have a slate of articles this week that I think you are going to enjoy. Before we get in to the news, let me remind everyone that you can support The Update by buying stuff through Amazon. It doesn't cost you anything extra because Amazon just gives us a piece of their profit for leading you to them. It is a quick and painless way for you to support your favorite alternate history blog. 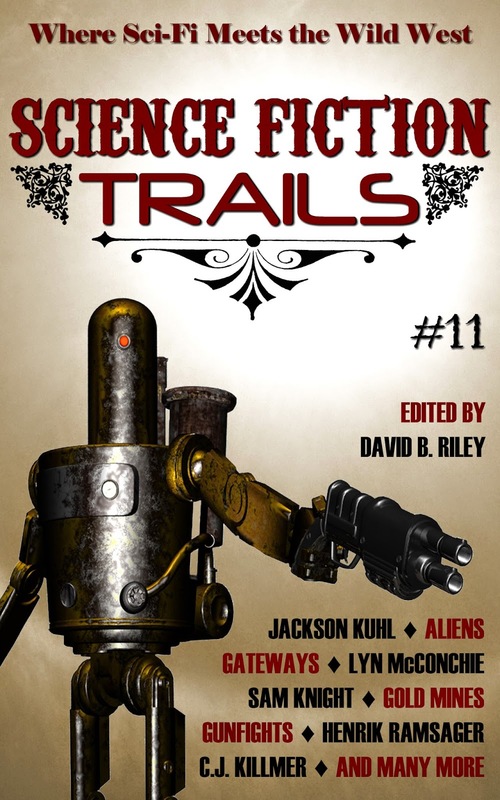 Science Fiction Trails, a western themed SF magazine, has released their eleventh issue and it has some stories that might interest alternate historians. According to the press release, the issue features a different take on a Martian invasion, a Sioux warrior exploring parallel dimension, a rancher’s widow getting help from a colder past and more changes to the Wild West. The issue features works by Sam Knight, C. J. Killmer, J. A. Campbell, Lyn McConchie, Henrik Ramsager, R. A. Conine, and Jackson Kuhl with an article by David Lee Summers. The issue also includes the results of the "Wild West Writing Challenge" by contributors David Boop, Joel Jenkins, John Howard, and others that showcase "some amazing and really short gunfights". 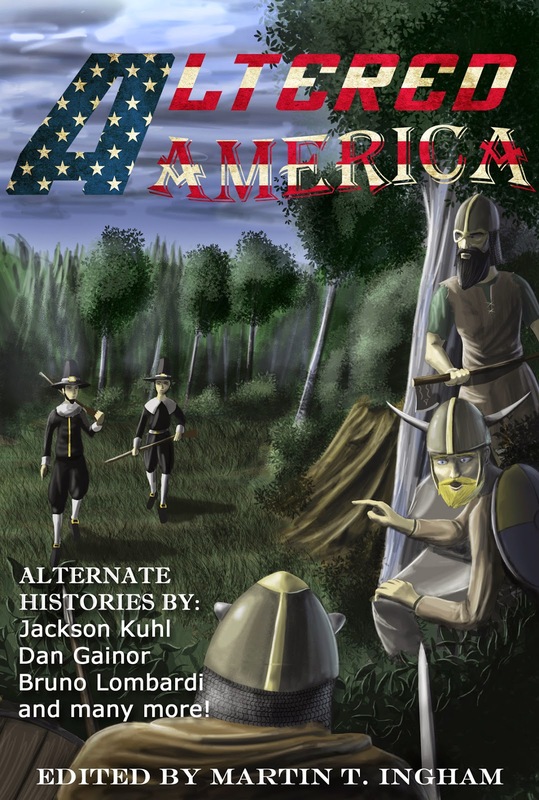 Martinus' Altered America anthology continues to be popular with the alternate history community. Last week, editor Martin T. Ingham announced on his blog that the anthology reached #1 on Amazon Kindle’s “Alternative History” listing late Monday night. The anthology has also been getting a good number of 4-5 star reviews on the US and UK Amazon pages. This comes despite this poor review, but Martin wrote a response to that review about why he thought the reviewer was wrong. If you are planning to review this anthology, please consider submitting it to The Update. I am already behind again in my reviewing, but would still love to post an actual review on this blog. Also I have a question for everyone else: is Martinus Publishing setting itself up to be the #1 publisher of alternate history? As I have said more than once on Twitter, I am not affiliated with Rooster Teeth, but I really do appreciate their support of alternate history gaming. 10 Science Fiction And Fantasy Stories That Editors Are Tired Of Seeing by Charlie Jane Anders at io9. Could Conan Doyle sell his Sherlock Holmes today? by Brad Keefauver at Sherlock Peoria. Looking for a Good Book? These Recent Time Travel Reads Are Sure to Please by John DeNardo at Kirkus. Review: AGE OF SHIVA by James Lovegrove at Falcata Times. Review: THE HALF-MADE WORLD by Felix Gilman at SF Signal. The Story Behind Emilie and the Sky World by Martha Wells - Emilie's Worlds at UpComing4.Me. Thoughts toward an alternate history of Sherlockiana by Brad Keefauver at Sherlock Peoria. V is for Vines: Dystopian Alternate History by Dale Cozort at Sia McKye Over Coffee. Strong visuals bring the alternative history of 'The Royals' to life by Mike Re at MyCentralJersey.com. 5 Scenes From History That Everyone Pictures Incorrectly by J. Wisniewski at Cracked. 8 Things You Forgot About the Cold War by Colleen Curry at Yahoo. 26 Hilariously Insane Old-Timey Drawings of the Future by Luke McKinney at Cracked. An Alternate History Of The Creationist Movement by Mark Strauss at io9. Colonizing Space 1970's Style at SciFi Ideas. Counterfactual Reasoning and the Korean Ferry Disaster by Gavriel D. Rosenfeld at The Counterfactual History Review. Feudal Values Are Ruining Corporate Profitability by Annalee Newitz at io9. Imagine What The World Would've Looked Like If These Amazing People Had Not Been Assassinated by Adam Mordecai at Upworthy. Lincoln Leanings by Chuck Hamilton at The Chattanoogan. Scotland has 'five big positives' to staying in UK, Gordon Brown says by Severin Carrell at The Guardian. What If…1965 Ford Mustang at The Daily Drive. 6 Deleted Scenes That Totally Change Classic Movies by Jacopo della Quercia and Ryan Menezes at Cracked. Elementary: Season 2, Episode 21. The Man With the Twisted Lip at Thinking about books. Episode 221 of the show that didn't go with 221 by Brad Keefauver at Sherlock Peoria. Invaded by the PLA: New strategy game offers an alternate reality history of Hong Kong by Jeremy Blum at South China Morning Post. Delilah S. Dawson at SF Signal. Peter Higgins at Sense of Wonder. H G Wells: “It seems to me that I am more to the Left than you, Mr Stalin” at New Statesman. Dru Pagliassotti at The Qwillery. Changes to Apex Magazine submission guidelines at SF Scope. Free eBook - The Dieselpunk ePulp Showcase Returns! by Tome Wilson at Dieselpunks. Matt Mitrovich is the founder and editor of Alternate History Weekly Update and a blogger on Amazing Stories. Check out his short fiction. When not writing he works as an attorney, enjoys life with his beautiful wife Alana and prepares for the inevitable zombie apocalypse. You can follow him on Facebook or Twitter.